I was working on a post the other day and the TV show Nothing but Trailers was on in the background. It got me thinking about some of my all-time favorites and what constitutes a great trailer. First of all, it can’t just be a series of scenes from the movie. That really irks me! What’s the point of me going if you’ve already given me your best shots? Just lazy. An excellent trailer peaks your curiosity gets your heart-stirring and demands that you’re first in line to see it. An incredible trailer gives you minimal information but builds the anticipation with atmospheric music, punctuation shots, and an ending that elicits the core emotion of the film. This is the criteria I applied to the following trailers and is the basis for them being some of the most memorable. Starring Sigourney Weaver, director Ridley Scott scared the crap out of me and the little boy sitting in front of me at the theater. Oh, and to make matters worse, I was pregnant at the time. Yikes! (if you’ve seen it you understand if you haven’t, what?? You must!) And my girl Sigourney Weaver showed the world what a badass woman in space looks like. This is the epitome of an incredible trailer. Little bits and moments and truly haunting music. My heart was racing and I had no idea of what I’d just seen. The visuals were outstanding! There was absolutely nothing familiar in the images coming off the screen. The Alien and its accompanying elements were designed by Swiss surrealist artist H. R. Giger. (I don’t know how he slept with those images in his head) The film received both critical acclaim and box office success, receiving an Academy Award for Best Visual Effects. First of all, Heath Ledger. Second of all, Heath Ledger!! Even in the trailer, his intensity shines thru. He draws you in and you’re compelled to see more. His Oscar-winning performance was incredible and the most talked about that year. 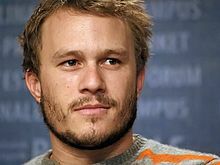 Ledger almost made a complete sweep of over twenty awards for acting, including the Academy Award for Best Supporting Actor, Screen Actors Guild Award for Best Supporting Actor, the Golden Globe Award for Best Supporting Actor – Motion Picture, and the BAFTA Award for Best Actor in a Supporting Role. Unfortunately, we lost him, but his genius as The Joker lives on. Starring Christian Bale as the caped crusader and directed by Christopher Nolan, when I saw this trailer I knew where I was going to be on opening night. Totally lived up to the hype. And, Now Presenting… “The Master of Suspense”! 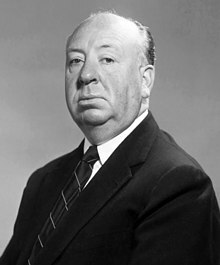 In 1960, Alfred Hitchcock shocked the world with his groundbreaking thriller. Unsuspecting moviegoers stood in lines that wrapped around the block with no one being allowed admittance after the movie began. Intensifying the anticipation, each patron’s directive was to NOT reveal the ending. This trailer shows Alfred Hitchcock taught the world just how horror is done. Fits all my criteria for an incredible movie trailer and then some. Starring Janet Leigh and Anthony Perkins, my heart is racing right now re-visiting this magnificent piece of cinema. An excellent trailer peaks your curiosity gets your heart stirring and demands that you’re first in line to see it. An incredible trailer gives you minimal information but builds the anticipation with atmospheric music, punctuation shots, and an ending that elicits the core emotion of the film. Starring Sigourney Weaver, director Ridley Scott scared the crap out of me and the little boy sitting in front of me at the theater. Oh, and to make matters worse, I was pregnant at the time. Yikes! (if you’ve seen it you understand, if you haven’t, what?? You must!) And my girl Sigourney Weaver showed the world what a badass woman in space looks like. This trailer shows Alfred Hitchcock taught the world just how horror is done. Fits every criterion for an incredible movie trailer and then some. Starring Janet Leigh and Anthony Perkins, my heart is racing right now re-visiting this magnificent piece of cinema. I’ve been a tv and movie junkie since I was a kid and the intersection of movies and television got me thinking about what tv shows successfully made the leap to the big screen. In my previous post, I celebrated the 50th Anniversary of “Batman”– the classic 60’s tv series. The eventual Warner Bros movie franchise that resulted made “Batman” one of the most accomplished superhero series to make that leap. In 1989, Tim Burton set about the challenge of retooling the DC Comics superhero, “Batman” – this update veered away from the “campy” Adam West version and set in motion the money-making Warner Bros Batman films, most notably the “Dark Knight” trilogy. I remember being in the grocery store when “Batman” (1989) premiered. Standing in line overhearing the chit chat, some people were truly upset that the Keaton movie was nothing like the tv series. They wanted the “pow” and “bam” of the William Dozier inception. I didn’t say anything but my husband is a comic book geek so I knew the real story and it was nothing like the “dynamic duo” of Adam West and Burt Ward. The 60’s classic was based on light-hearted portrayals and over the top villains. The real “Batman” is so far from campy it’s funny. The film, directed by Tim Burton and produced by Jon Peters was based on the DC Comics character of the same name. It is the first installment of Warner Bros.’ initial Batman film series. It stars Michael Keaton as Bruce Wayne/Batman, alongside Jack Nicholson, Kim Basinger, Robert Wuhl, Pat Hingle, Billy Dee Williams, Michael Gough, and Jack Palance. The plot is more closely aligned with the comic book as Batman, widely believed to be an urban legend goes to war with a rising criminal mastermind known as “the Joker” (Nicholson). I felt Keaton brought a vulnerability to the role while focusing on the conflict within. I remember reading an article about Michael Keaton speaking to Jack Nicholson on how to approach the character. Jack being Jack told Keaton to let the mask do the work. Following Nicholson’s advice, Keaton played with his voice’s lower register so the character’s intensity was amplified. Director Tim Burton did a tremendous job bringing the “Batman series” back to life. The atmospheric presence of Gotham City created the perfect backdrop for the conflict between “good” vs “evil”. Along with Nicholson providing the maniacal humor,”Batman” couldn’t help but be a hit! “Batman” was one of the first films to spawn two soundtracks. One of them featured songs written by Prince while the other showcased Danny Elfman’s score. Both were extremely successful. Prince’s soundtrack album was No. 1 on the Billboard albums chart for six consecutive weeks. It has sold over eleven million copies worldwide. The tone and themes of the film were influenced in part by Frank Miller‘s The Dark Knight Returns. Batman was a critical and financial success, earning over $400 million in box office totals. It was the fifth-highest grossing film in history at the time of its release. The film received several Saturn Award nominations and a Golden Globe nomination and won an Academy Award. The American Film Institute anointed Batman the 46th greatest movie hero and the Joker the 45th greatest movie villain on AFI’s 100 Years…100 Heroes and Villains. In 2008, Batman was selected by Empire magazine as number 458 of The 500 Greatest Movies of All Time. “Batman” initiated the original Batman film series and spawned three sequels: Batman Returns (1992), Batman Forever (1995) and Batman & Robin (1997); the latter two of which were directed by Joel Schumacher instead of Burton, and replaced Keaton as Batman with Val Kilmer and George Clooney, respectively. Personally, I feel the franchise wasn’t fully formed until “Batman Begins” (2005) with Christian Bale as the “dark knight”. This and the subsequent sequels delved even deeper into the dark and intense storyline of Bruce Wayne and his inner demons. The film was nominated for an Academy Award for Best Cinematography and three BAFTA awards. It is followed by The Dark Knight (2008) and The Dark Knight Rises (2012) in a continual story-arc, which has later been referred to as The Dark Knight Trilogy. Many consider “Batman Begins” to be one of the best superhero films of its decade. The Dark Knight in 2008 and The Dark Knight Rises in 2012 (with Bale reprising his role in both films) earned over $1 billion worldwide, making “Batman” the second film franchise (and to date one of only five) to have two of its films earn more than $1 billion worldwide. Well, I’m totally into this franchise and never miss a new installment in the series. Christian Bale is the man, he’s managed to capture Batman’s intensity with such vigor that the deeper he plunges, the deeper the journey we take with him. 2 Comments Posted in Academy Award, Actors, Awards, Directors, Film History, Music Tagged #iheartfillmblog, #superheroes, Christopher Nolan, Prince, Tim Burton films, Warner Bros.